The more digitally advanced the company, the more successful it is. BDC dares to compare digital maturity profiles by industry and we unpack the results! Read here. Explore the limitless possibilities of digitally transforming your business. As the pace of innovation speeds up, you might think technology evolves too quickly for your organization to take full advantage of it. Good news! The low price of entry and the level of scalability make it easy for businesses of all shapes, sizes, and industries to use new technologies. 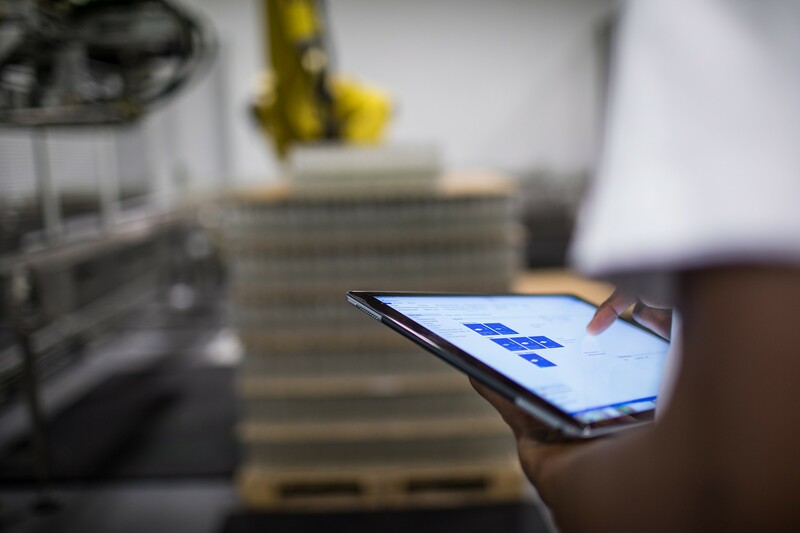 You can use artificial intelligence (AI), machine learning, and Internet of things (IoT) to simplify operations, manage your supply chain, and automate processes. Discover key survey findings. Download the BDC report. Looking for a competitive differentiator? Try modernization! Despite the benefits, BDC reports that only one in five Canadian companies have reached an advanced state of digital maturity. As a small-to-medium sized business, you may use a multitude of stand-alone applications to do tasks. These apps don’t integrate AI, or connect with devices with IoT, or protect the data your employees collect in the field. Today’s cloud-based innovation platforms—like Microsoft 365, Office 365, and Dynamics 365—changes all that. These new platforms help businesses bridge the budget issues and human resourcing gaps so often preventing companies from modernizing. Define and share your digital vision -> Every successful transition begins with someone like you. You can learn about digital technologies, map out processes, and create a compelling new digital vision that engages and inspires your stakeholders. Find quick wins -> Focus on easy wins and equally easy-to-implement solutions that give a real boost to the business. For example, you can try out Microsoft Teams to enable your team members to collaborate and share information more easily. Modernize incrementally -> Identify your opportunities, secure resources, and budget appropriately. Build slowly. And make sure you measure your progress. Define metrics for every objective and commit to review the numbers regularly. Get creative -> Look internally in every department of your organization for new ways to automate processes that save time and money. You can also develop your own customized applications based on Office 365 and Dynamics 365. Choose wisely -> You may require a digital transformation solution that includes applications specific to your industry and the way you operate. If so, demand user-friendliness, scalability, interoperability, security, and advanced features, like AI/IoT. Scale confidently -> Simplified, integrated Microsoft platforms (Office 365, Dynamics 365, and Microsoft 365) can replace what used to require weeks of implementation and constant management by IT specialists. Modern technology keeps pace with you! Take charge of your rising IT costs. Subscription-based platforms are designed and priced specifically for businesses of all shapes and sizes. Today’s revolutionized approach to developing new technologies enables businesses to take full advantage of the latest innovations without overhauling their systems. For example, you can use Cortana, Microsoft’s virtual assistant, to help manage your appointment calendar, set up meetings with your staff, multi-task without interrupting what you are doing, and sync your devices. Voice activation lets you interact with Windows’ built-in AI as easily as talking to one of your employees. Available free for download, “Speaking business today” addresses how emerging technologies like artificial intelligence, internet of things (IoT), and edge computing are levelling the playing field for smaller companies to compete with medium and large organizations.